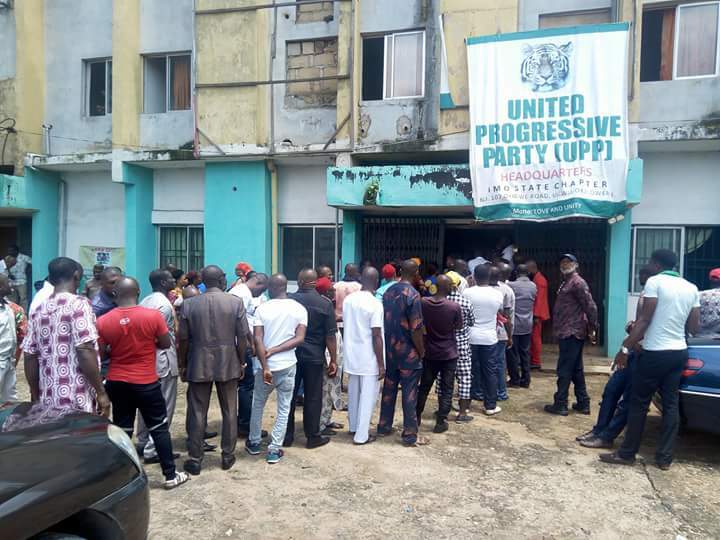 As part of its readiness to capture power in 2019 at all levels and reposition for the titanic electoral battle ahead in Imo State, the United Progressive Party, UPP held its State Congress on Monday. The Congress was held at the State Party Secretariat, Owerri. Party members at the Congress elected a new State executives with Hon.Innocent Njoku emerging the new State Chairman of the party. Mr. Benjamin Ehirim was elected the State Secretary of the party. No fewer than 13 other officers were elected to fill up various positions in the State Working Committee that will lead the party to the 2019 polls in Imo State and thereafter. 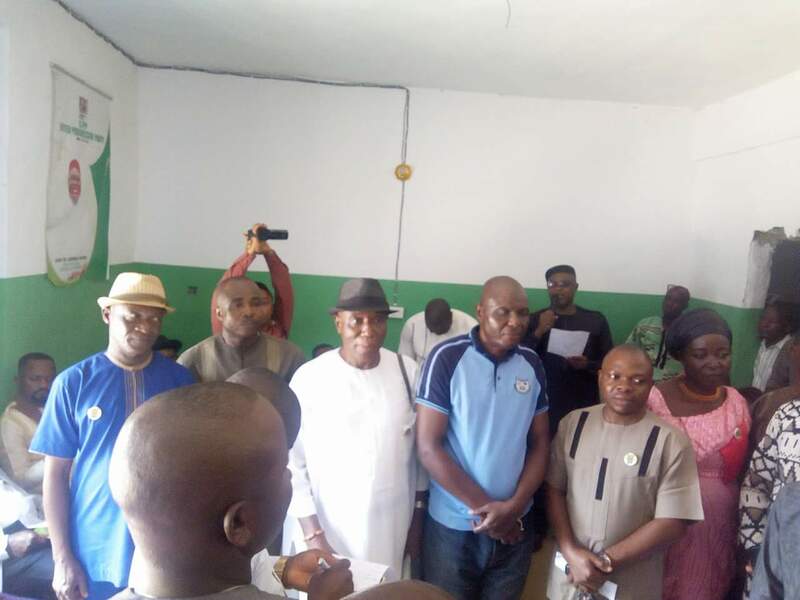 The exercise was peaceful and devoid of rancour as party chieftains and members expressed their determination to energize the party and take over the reins of governance of the State in 2019. Speaking to teeming members shortly after the election of the new state executives, the new State Chairman of the party in the State, Hon.Innocent Njoku said the UPP has what it takes to contend with other political parties to take over governance and other elective positions in 2019. He said the cry of the masses will not be in vain as there will be divine intervention in Imo State during the 2019 election. 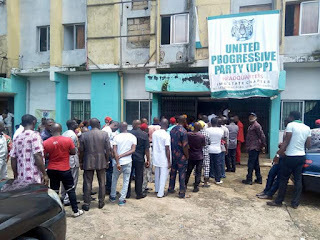 In his remarks, the UPP 2015 Imo governorship candidate and fiery critic, Prof.Protus Nathan Uzoma said with the successful conduct of the Congress, the UPP has become the party to beat in the State in 2019. He said in 2015 the party was edged out vowing that such scenario will not repeat itself again. Uzoma said with divine powers and unity the UPP will surely excel in the 2019 coming elections. He advised party members to stick to the motto of the party which is unity and love. "Without unity and love, one cannot achieve anything in life.Both of them are interwoven and we need to inculcate such values if we must succeed"Uzoma said amidst thunderous cheers from party members. 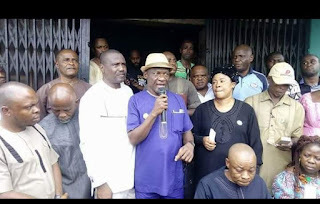 He called on members of the UPP to speak the language of the party, imploring the State Chairman and his executives to constitute a reconciliation committee to harmonize any differences that may arise after the Congress. The Congress was witnessed by party leaders including a former Commissioner in the State, Chief Ejike Uche. The exercise was observed by officials of the DSS and Independent National Electoral Commission, INEC.